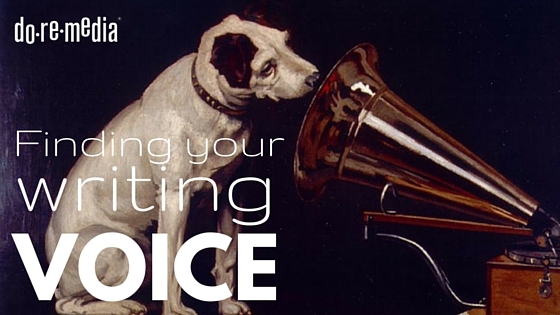 Finding your writing ‘voice’ is a super important factor in successful writing for social media. Many of the tips we’ve shared with you in the past won’t work at all if you haven’t developed a style which captures who you are and what you (or your brand) is about. Here are some tips on finding your voice. 1. Write like you speak. If it doesn’t sound like you, it won’t read like you. Read it out aloud to make sure it’s sounds like your tone and phrasing. 2. Try to vary the beginnings of your sentences. When we speak, we naturally avoid repetition, especially at the beginning of sentences. Repetition prevents flow, is confusing and quite frankly, boring! There are cool ways to use repetition, see some here. It’s a good idea to think carefully about HOW edgy your voice can be without damaging your brand. Social media is not a formal writing arena, colourful language and creative spelling do give a modern edge to your writers voice. There are a whole heap of swearing phrases which are used in lighthearted ways to relate a casual or comedic sentiment. They tend to work because of the tone we are used to hearing them carry in our social context. If you are edgy but not stone-cold edgy, you can be playful with the spelling to communicate that you’re just being cute. This must only be deployed if your brand is designed to engage with a youth or alternative demographic. It would result in a host of unfollows if used out-of-turn for more conservative markets. If there’s anything to take from the “Write drunk, edit sober,” philosophy (misattributed to Ernest Hemingway) it’s to allow yourself some degrees of freedom when pouring words onto the page. These degrees of freedom are best explored in Word, OneNote or Notebook and posted once you feel satisfied with it. You may come up with some inspired gems, but more certainly, you’ll continue to discover your true ‘voice’. Number two: So easy to fall into that trap of repeating. And it does becomes boring to read. Thank you so much. So helpful to me as a -just-starting-out-blogger! Thanks Kirsten! Had a look at your blog…really impressive! Keep up the great work!